"WR6_gUnUj-ztiW07KQcOCnTel9A"/> Notes From Atlanta: Who Will Save Kwara COE Lecturers from Saraki’s Deadly Grip? Senate President Bukola Saraki is called Kwara State’s “Governor- General” for a reason: He is, for all practical purposes, the state’s de facto governor, and Governor Abdulfatah Ahmed is merely his impotent, obsequious caretaker. 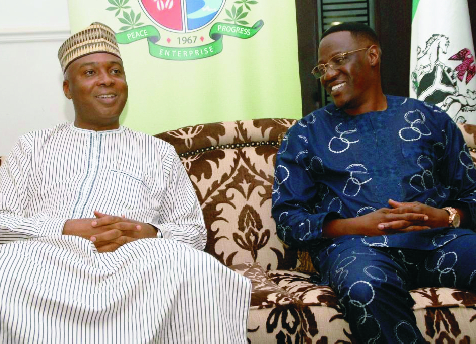 Ahmed must dutifully take orders from Saraki or risk losing his cushy surrogate governorship. This isn’t a flippant, ill-natured putdown of Governor Ahmed, who seems like a nice person; it’s an uncomfortable truth that many Kwarans know only too well. So when I ask who will save lecturers in Kwara State’s colleges of education from death and starvation because they haven’t been paid salaries for six or seven months now, I am not barking up the wrong tree. Saraki is the main character in the movie of Kwara politics. Nothing happens there without his imprimatur. Lecturers in the state’s three colleges of education located in Ilorin, Oro, and Lafiagi—including the College of Arabic and Islamic Legal Studies in llorin—are being owed salaries, which has caused at least 13 of them to die as of the time of writing this column. This, dear reader, is unconscionable, officially sanctioned mass murder, and Saraki can stop it if he so desires. This issue is personal to me on many levels. As regular readers of this column know, I am from Kwara State—from the Baatonu-speaking part of the state called Baruten. So this isn’t an abstract subject-matter for me. Several of my former secondary school teachers, friends, and former high school classmates, with whom I am in regular contact, are lecturers at Kwara State’s colleges of education. I am intimately familiar with the heartrendingly excruciating existential torments they are undergoing as a result of the non-payment of their salaries. A lot of them are literally on the edge of existence; they can’t feed their families, pay their children’s school fees, or even pay their rents. After more than half a year in this state, their agony has reached dizzyingly crushing heights. When entreaties to traditional rulers and leaders of thought in the state to prevail on Senator Saraki and his caretaker governor to pay salaries owed to them haven’t yielded any results, the lecturers resolved to embark on a strike from October 16. But instead of addressing the lecturers’ grievances, the state government’s information managers have been busy unleashing deliberate, sustained but pathetically unimaginative propaganda in the mass media against the lecturers. The government first claimed that no state government employee was being owed any backlog of unpaid salaries. When this nakedly insensitive lie was laid bare to the world, the government changed its story several times, and now insists that colleges of education must pay their lecturers from internally generated revenues. It is worth noting that since 2011 until about seven months ago when the government stopped paying salaries outright, lecturers in Kwara State’s tertiary institutions were paid only 70 percent of their salaries. No one knows what has happened to the other 30 percent. As I write this, there is intense turmoil in Kwara State’s colleges of education. A younger brother of mine who was supposed to start the last year of his studies this week at one of the state’s colleges of education lamented to me that his lecturers had started a strike and that his graduation was in danger of being derailed indefinitely. But why should the lecturers not strike? Why should they teach others when they can’t send their own kids to school? Why should they teach when they can’t eat? Why should they teach when the callousness of a duplicitous state government has caused them to vegetate in agonizing misery for months on end? 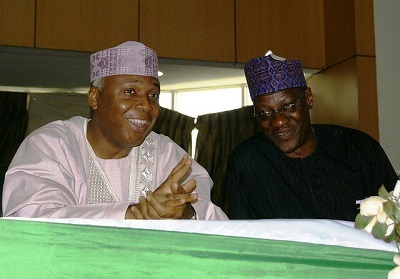 When Muslim worshipers stoned Senator Bukola Saraki at the Eid praying ground in Ilorin in September this year amid shrill screams of “Ole!” (Yoruba for “thief!”), they weren’t taking sides in the Code of Conduct Bureau’s politically motivated trial of Saraki; they were spontaneously ventilating pent-up rage against what they rightly perceived as Saraki’s suffocating stranglehold on the state, which ensured that the state’s civil servants were owed backlogs of salaries. It was anger touched off by hunger. (I am told that regular civil servants, who couldn’t buy rams for the Eid-ul kabir festivities, have now been paid their salaries after the stoning of Saraki). But the state’s college of education lecturers are still left in the lurch. Unfortunately, except for Daily Trust’s October 10, 2015 report on the issue titled “Kwara gov’t, tertiary institutions’ staff lock horns over salary arrears,” the traditional media in Nigeria seem to have blacked out the plight of Kwara State’s college of education lecturers. But the dire existential predicaments of these lecturers are too scandalizing to ignore. “Some of us even lost our children. Some of our members’ children couldn’t write WAEC because of this. Many of us also live in darkness because we couldn’t pay our electricity bills and we have become objects of mockery before our landlords because we could not pay our rents. 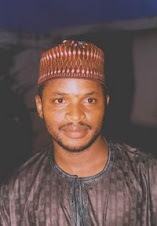 It is devastating,” AbdulKareem Amuda-Kannike, a college of education worker, told Daily Trust. How can you not be touched by this? The state government received millions of naira from the federal government as bail-out funds, ostensibly to pay the backlog of salaries owed to workers. Where did the money go? Most importantly, who will save starving, defenseless lecturers from the double-dyed villainy of a rapacious, conscienceless, power-mongering cabal led by Bukola Saraki and his servile crony, Abdulfatah Ahmed? People of conscience in Kwara State and beyond should quickly intervene to halt the scarcely visible, barely known, but nonetheless vicious official mass murder of lowly, voiceless lecturers in the state’s colleges of education.